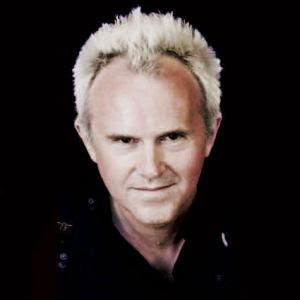 In a recent radio interview in the U.K. Howard Jones mentioned he has plans to do a concert later this year where he will perform his two classic albums - Human's Lib and Dream Into Action in their entirety. He has never done this and it will be an opportunity for fans to hear many songs live that they may never have seen Howard perform before. 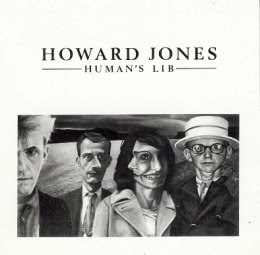 There will likely be some surprises, maybe Jed Holie will hit the stage for some mime as he did in the early days (and at Howard's 20th Anniversary gig). No date has been announced, if it is a one off gig I would imagine it will be in the U.K., most likely London at the the O2's indigO2 or Shepherd's Bush Empire. ** UPDATE ** It looks like the concert will be held on November 6th, 2010. 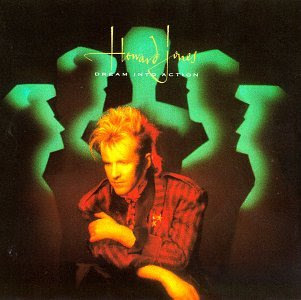 In other Howard Jones news Howard has been re-recording three of his classic hits in the same style as his latest studio album "Ordinary Heroes" for inclusion as bonus tracks on the Japanese release of the cd, the songs are: New Song, What Is Love and Everlasting Love. Also 'Straight Ahead' will be the new single from the album Ordinary Heroes, it will be released as a single in the UK on March 22nd 2010. One of my favourite songs of late is "I Can Make The Pain Disappear" by Benjamin Berry from Greenwich U.K. (originally born in Kobe Japan) who goes under the moniker "Fear Of Tigers". 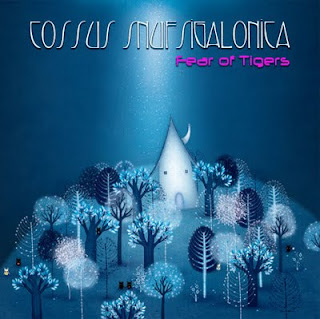 He made his new album "Cossus Snufsigalonica" available for free download and it is a great listen (still available here). Well now he's gone and done an amazing remix of Boston's "Yes Giantess" song "The Ruins" that is available for download at the Neon Gold blog. Below is the music video for "I Can Make The pain Disappear", hope to be able to buy a hard copy of the Cossus Snufsigalonica cd soon. Fear of Tigers - I Can Make The Pain Disappear (video by Dream Boat) from Dream Boat on Vimeo. There is a new Scritti Politti cd being released through EMI on March 29th, 2010 titled "Absolute (The Best Of Scritti Politti)" - some info here. 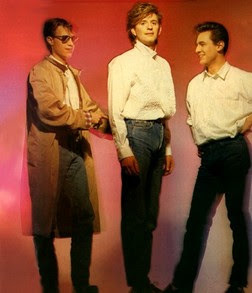 I haven't seen a track listing or found information if the songs will be remastered in any way, but have heard that it may contain two brand new Scritti Politti tracks that Green has been working with original member David Gamson. From the bibbly-o-tek website we find the following info - "A source close to the project has informed me that there will most likely be 2 additional new tracks on the new album. “A Place We Both Belong” and “Day Late and a Dollar Short” are names that were given to the tracks by Green and David Gamson as they worked on them together last year. Actual track names are subject to change upon final release." Let's hope this gets a worldwide release and possibly brings on some live shows. I love the track "Heaven's On Fire" from Swedish band The Radio Dept.. You can find it over at Kickin' The Peanuts, definitely worth adding to you collection. Their album "Clinging To A Scheme" is due out this March on Labrador Records, their MySpace page. Labels: Sweden, The Radio Dept. a-ha have announced only three concert dates (Update: extra gigs in L.A. and New York have been added, up to five now) for North America in May as part of their 'Ending On A High Note' tour, and they are in New York and Los Angeles. To say this is a big disappointment is a major understatement, still hoping they manage to add some Canadian gigs to the list. I bought a ticket to one of the New York shows and will plan a road trip to see them if that is the only option. 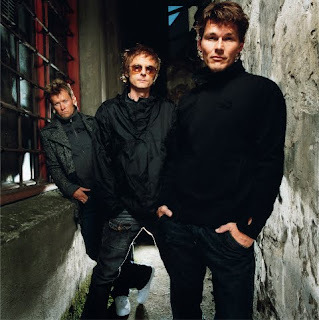 Speaking of a-ha, band member Magne Furuholmen has teamed up to form a group called Apparatjik with Coldplay's bassist Guy Berryman and singer/guitarist Jonas Bjerre from the band Mew. They have just released their debut cd called "We Are Here", I look forward to hearing what it is like. Lo-Fi-Fnk have leaked a song of their forthcoming album, the song is called "Marchin' In" and it is available to download from their blog. The song is good, a bit mellow, but it is great knowing that we are getting closer to the album finally being released, 4 years after the amazing 'Boylife' cd. Nik Kershaw just released a cool solo acoustic album called "No Frills" on Monday. You can order it here from his new nicely redesigned website (and they accept PayPal which is great). Loving the new Two Door Cinema Club album 'Tourist History'. Favourite tracks are the previously leaked demo track "Something Good Can Work', 'Come Back Home', 'Do You Want It All' and 'This Is The Life'. Check them out if you are a fan of a band like 'Upper Room'. U.K. band Captain are on a bit of a hiatus (after their second album 'Distraction' ended up not getting officially released by EMI) but a couple of months ago started a new mailing list (sign up here) to try and gauge fan support. When you sign up you also get a free download of an unreleased Captain song called "Back In The Knife Drawer". This track was part of sessions they did in Oxford prior to the recording of 'Distraction'. Teitur has finished writing his next album and plans to record it in March, hopefully it will get released over the summer. The Human League have signed with Wall Of Sound Records, hopefully their new cd will be out this year. I just found the Facebook page of Viv who ran the Thompson Twins Fan Club 'Teefax' back in the day, may try and get in touch to see what she has been up to, hope she is doing well.